Special Notes: I've been exploring the New England area on bike and in cars ever since I was a teenager. Starting to get some runs in further south. See a list of the most popular scenic drives & road trips in the US. See a listing showing just who has added the most road trip information for this month. Check out some of these classic "car games" ... help you and the kids enjoy the ride! 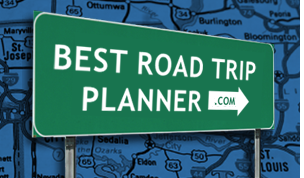 Just in time to help you with your summer travel planning - welcome to the new BestRoadTripPlanner.com!